Draw and collaborate on user interfaces. Is there a better alternative to WireframePro? Is WireframePro really the best app in Developer Tools category? Will WireframePro work good on macOS 10.13.4? 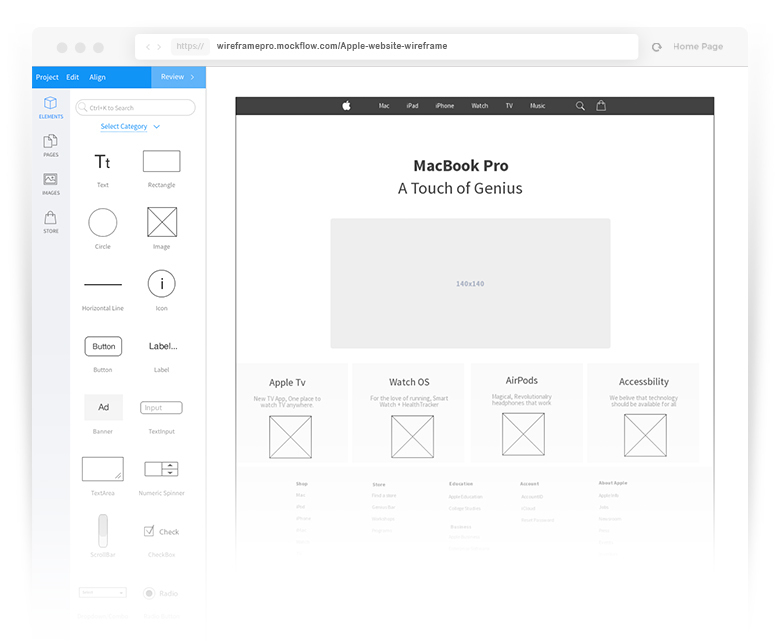 WireframePro lets you draw and collaborate on user-interface mockups for websites and apps in less time. Wireframe Editor - WireframePro provides a full featured drag-n-drop editor for drawing user interface mockups. It includes support for master pages, presentation mode, layers, auto-sizing of canvas, interactivity, and icons, to name a few. WireframePro needs a review. Be the first to review this app and get the discussion started! WireframePro needs a rating. Be the first to rate this app and get the discussion started! Components - It comes with numerous components for a wide variety of user interfaces. This includes Web, Bootstrap Library, iPhone, iPad, Android Phone, Apple Watch, Android Watch, forms, and annotations, with support for more categories on the way. Export - Wireframes can be exported to a wide variety of formats: Images, MS Word, Adobe PDF, and MS PowerPoint. 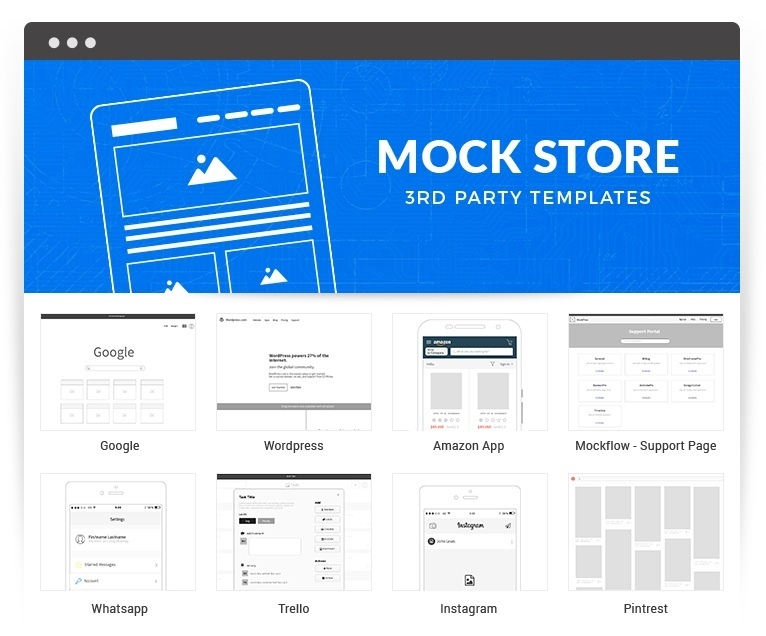 Template Store - Within the editor, users can access 3rd-party templates using "MockStore". A growing library of templates are available in MockStore which are submitted by the MockFlow user community. All templates are available for free, and can be instantly imported into a project. 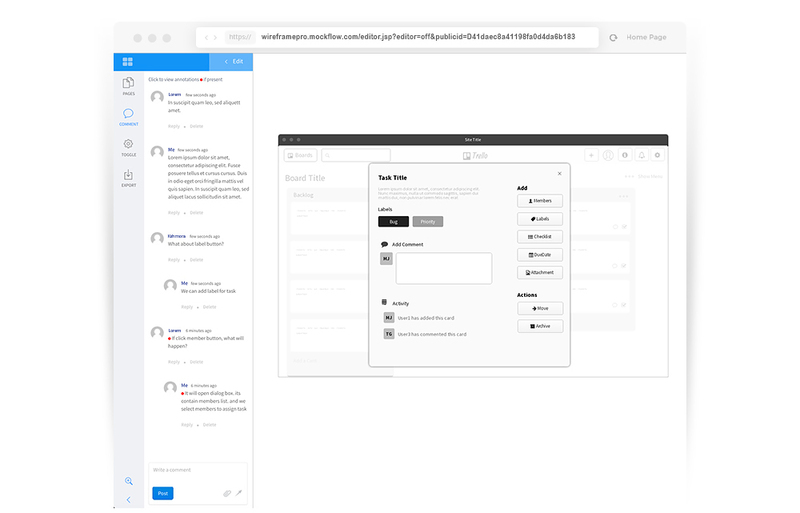 Collaborate - WireframePro provides collaboration features such as real-time editing, annotated comments which is essential for wireframing as it helps in seamless communication of ideas. Sharing - WireframePro is built for teams. Projects can be shared privately with permissions - reviewer, editor, or admin; and can also be viewed publicly by generating a preview URL. WireframePro can be used for free with limited use. Additional options can be found here.